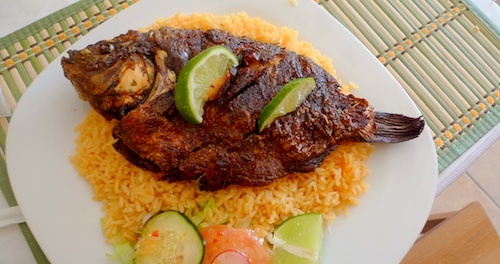 In the mood for Costa Rican food, I once again had to take the NJ Transit out for a delicious meal since New York City is still devoid of an exclusively Tico restaurant. It is good to get out of the city every once in a while, and in addition, South Orange has a little micro brewery to visit as well. I ordered the casado with chicken, and had this meal so long ago I could not find my price notes. 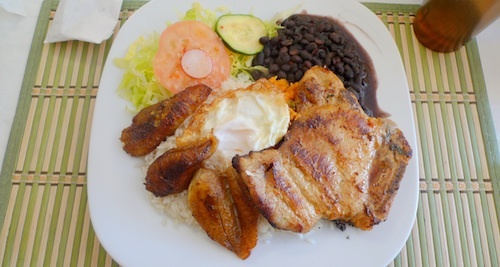 A casado is the Costa Rican term for a meal including all the parts you see below, salad, rice, beans, plantains, and egg. You have your choice of meat, but the chicken is recommended for being the least dry and very nicely seasoned. 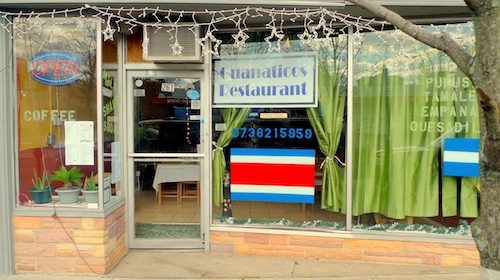 In case you were wondering about the name, the restaurant is not only Costa Rican (Tico by slang), but also shares its menu with Salvadoran (Guanaco) food. There you have it.